Running Snowball Fight, a photo by virithos on Flickr. Boo and I took a little hike while Lee was out of town. There was maybe half an inch of snow on the ground. But it was just enough to scrape together some snowballs. 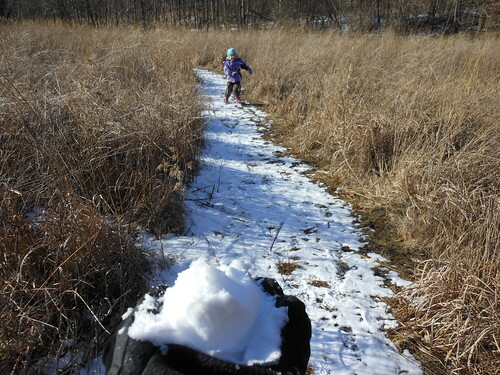 We ended up having a running snowball fight through this prairie trail. It was awesome. How do you play outside in the winter? "What if We Get Lost Overnight?"